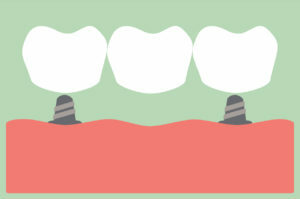 When you look in the mirror, do you see gaps, overcrowding, or rotated teeth? If so, you are not alone as most people are not born with a naturally straight smile. While your alignment issues often make you feel insecure about your appearance, you have yet to visit your dentist in Norwood for treatment because you believe that it is only a cosmetic issue. However, straight teeth are not just important for your confidence. They are also vital to promoting a healthy smile. How Can Your Norwood Cosmetic Dentist Help You? You’re already starting to feel nervous for your big presentation at work, and it’s still a month away! It’s not the content of the meeting that makes you nervous, but rather having to present the information in front of new clients. You know that if this presentation goes well, it could mean more responsibility and a promotion for you; however, you’re nervous about your teeth. You’ve lived with stained teeth that overlap for years, and you feel self-conscious about smiling in front of others, especially new clients. Did you know that your Norwood cosmetic dentist can help you? Here’s how. Comments Off on How Can Your Norwood Cosmetic Dentist Help You? Your children always make you smile – their precocious and curious, kind and smart, and as loving as you could possibly get. Since these little ones are the apples of your eye, when you beam with pride about your son and daughter, you immediately think about their teeth. Sure, you know that they should brush twice a day and floss, too, but what about nutrition? 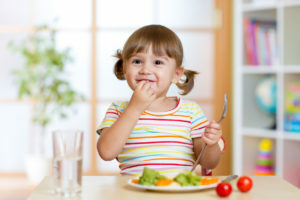 Since kids are inundated with sweets – and their already at an increased risk for tooth decay due to developing hand-eye coordination – you premier children’s dentist in Norwood, Central Dental Associates, offers helpful tips on what and how to eat to prevent cavities and to set your kids up for a lifetime of dental success. Can I Replace Teeth with Dental Implants in Norwood? Are you missing one, two or even all of your teeth? Would you like your smile to be healthy, strong and attractive again? Then, why not explore dental implants in Norwood from Central Dental Associates? Very experienced in these exceptional tooth replacements, Drs. Maheu, Viventi, Shomali, Faris, Stoddard and Mattos evaluate patients for dental implants and place them in during simple in-house oral surgeries. The results are dramatic and absolutely life-changing! Comments Off on Can I Replace Teeth with Dental Implants in Norwood? It starts off with sensitivity to hot or cold, but it goes away, so you don’t think much about it. Soon you’re feeling pain more often, but Ibuprofen takes care of it. The next thing you know, you’re waking up at night with constant and pretty severe pain that makes it hard to sleep, now your tooth has your attention! Pain like this typically indicates an abscess, which is an infection of the root in your tooth. This is not pain you should overlook, and it’s important to understand the dangers of ignoring an abscessed tooth. Seems like just about everyone has his or her wisdom teeth removed. But is it absolutely necessary for you to do so? The short answer to that question is it depends. Wisdom tooth removal is often recommended when there isn’t enough room in your jaw for them to grow in properly. In this case, wisdom teeth can cause real problems. The dentists at Central Dental Associates will be able to help you decide whether or not wisdom teeth extraction is the correct treatment option for your smile and healthy mouth. 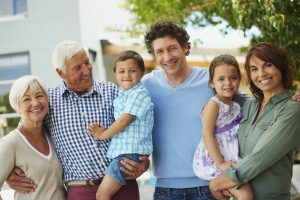 Take a look at the homepage of our website and you’ll see a photo of a happy family strolling hand-in-hand: grandma and grandpa, mom and dad, son and daughter. This picture truly represents the breadth of care you’ll receive from your Norwood family dentist at Central Dental Associates. 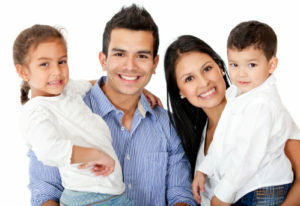 Our dentists and their team are capable of caring for smiles of all ages. So whether your son or daughter needs a tooth-colored filling, you need a dental crown or a senior parent needs new dentures, we are able to deliver the best service for your optimal smile. An unattractive smile may not only be the result of damage to your teeth, but may also result in damage to your self-confidence. No one wants to feel the shame of a smile that is marred by ugly teeth. And you shouldn’t have to. 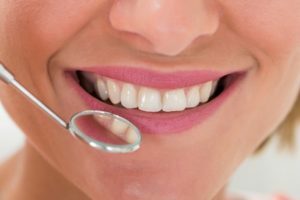 There are a number of cosmetic dentistry treatments available today that can repair your teeth, restore your smile and rebuild your confidence. In Norwood, veneers and cosmetic bonding are two of the most frequently chosen procedures. The only question is which one is right for your smile. One of our dentists will be glad to examine your teeth and make the appropriate recommendation.